Augmented Reality is used to define technology that creates a computer-generated image that the user can see in the real world. A physical environment is created whereby the elements therein are augmented and extracted through real-world sensory inputs such as audio, video, graphics or GPS data. The computers involved are used to manipulate and modify the user’s view of reality. This enhances the user’s current perception of reality in comparison to virtual reality which replaces the real world with a partially interfered and simulated one. In 1961, Morton Heilig, a cinematographer developed an immersive multi-sensory device that had features of a giant arcade game, only that it could vibrate and played stereo sounds. The head-mounted display (HMD) invented by an American computer scientist is also an example of advances that led to the Augmented reality evolution. Moving forward in 1974, a computer artist Myron Krueger developed what was referred to as an ‘artificial reality’ laboratory called the Videoplace. He later worked the Videoplace and created his own computer systems to facilitate image recognition, analysis and reaction in real time. From this, it was clear that more work was possible to combine live video images with graphical images. These ideas may have been what pushed Professor Thoma P. to come up with the term ‘augmented reality’ in 1990. Then as a researcher working with Boeing, he used the term to refer to a head-mounted digital display that was used to guide laborers through assembling electrical wires in aircraft. By the beginning of the new millennium, it was evident that augmented reality was a possibility as seen in AR Quake, an augmented reality version of the Quake game and the Wikitude AR Travel Guide which was released for G1 Android phone. For instance, presently, we have the SpecTrek, a game for Android and iOS users. Apple bets on the future of Augmented Reality with the release of Apple AR Kit; the AR Kit was unveiled at Apple Developers’ conference in June 2017. It allows developers working on AR apps to integrate digital experiences into the physical world. The apps will work perfectly with iOS 11 which is to be launched together with the iPhone X, Apple’s latest flagship smartphone. Social media platforms such as Facebook are working towards incorporating augmented reality into their platforms. Facebook is working on AR smart glasses to harness the power of Augmented Reality into its platform. Mark Zuckerberg, Facebook’s CEO, has referred to Augmented Reality as the next computing platform. AR is recognized as an innovative and creative way of connecting with customers and the General audience. 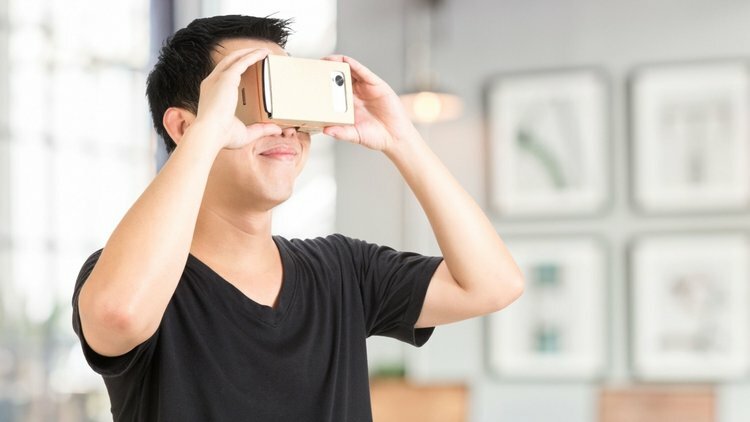 Advertising companies are expected to tap into the possibilities of Augmented Reality to improve the way they communicate to clients. For instance, AR allows the creation of a three-dimensional thinking where users not only see ads ahead of them, but around them – their peripheral vision. Due to higher resolution, AR also allows for detailed ads. Majority of online users have embraced augmented reality; statics show a significant increase in the number of augmented reality shipment over the years. Additionally, from the number of users of Pokémon Go, a game built based on the augmented reality innovation, it is evident and clear where the scope of technology is heading to. Pokémon Go; this is among the best AR apps and has been on everyone’s wish list since it launched. It utilizes GPS to locate you, and navigate you in a particular game avatar while your camera is used to show Pokémon in reality. Flirtar; Flirtar this is the world’s first augmented dating app that enables flirting in augmented reality together with meeting people in the real world. It allows you to view a potential’s date profile and build a conversation. Flirtar’s AR experience allows you to use your phone to scan the place you are at and make connections with fellow Flirtar app users. It has been hailed as the future of dating. Google Translate; it is partially recognized as an AR app that has a magnificent purpose in translating texts. This is part of the app’s camera mode, one has to simply snap a photo of a text they are not able to understand and the app translates it in real time. Ingress; this was Google’s first release into the AR game market and the most creative ever. Others include games like Zombie Go, Quiver and Ghost Snap. Utility apps are Wikitude world browser, Yelp Monocle and Augmented car finder. Apple’s latest iPhones have promised users with a great groundbreaking feature in their devices; users will be able to explore the world using augmented reality. Among the new features in the technology giant’s latest release are an upgraded camera and the company’s A11 Bionic chip that allow for efficient AR processing. This is expected to be greatly embraced by baseball players in the Major League Baseball (MLB). Attendees will be able to use the upgraded camera to view player stats in real time by viewing the particular athlete on the device’s screen. This is just a single use case as it may also be utilized in the Sky Guide app from Fifth Star labs to allow users to superimpose its map upon the real sky to identify constellations.